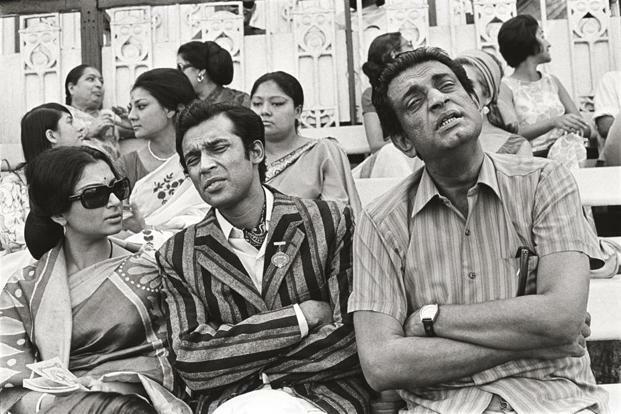 Seemabaddha is the second instalment of Satyajit Ray’s Calcutta trilogy comprising of Pratidwandi(The Adversary, 1970) and Jana Aranya (The Middleman, 1976).In this film Ray shifts his focus upwards at the haute bourgeois of Calcutta(now Kolkata) of the early 1960’s.The British are still there, but only at the very top. They are cordial to and even indulgent of their Indian colleagues who run the day-to-day show.These are the early days of post independence India but widespread discontent has already set in.Growing up we used to hear ”Angrez chaley gaye, par Angreziat chod gaye” (The English left India but left “Englishness” behind) along with comments about the huge Raj hangover among the Bengalis.This film illustrates that Anglophilia to some extent. 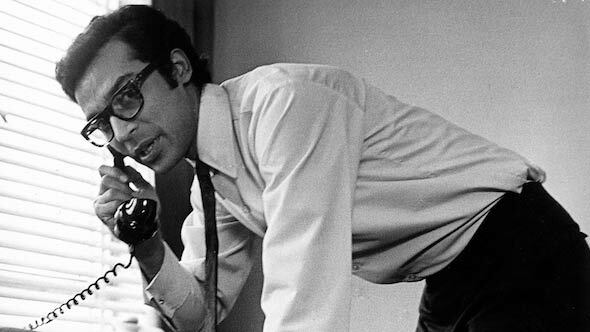 The film starts with a gentle voiceover of the protagonist Shyamal Chatterjee(Barun Chanda) who has escaped the fate of being one of the millions of Calcutta’s jobless youth after he lands a job with a British firm Hindustan Peters manufacturing electrical Fans and Lights.He is part of a new breed of the countries élite, serving as well paid executives in MNCs. Shyamal has had a meteoric rise up the ranks to become the Sales Manager and is in the running to be on the Board of Directors.He has a well-appointed company provided apartment, a charming social butterfly of a wife, a chauffeur driven car and a membership at a club, which a few years back did not allow Indians in.He truly has a seat at the white mans table in a newly liberated India. Seemabaddha feels a like a Ozu film, Ray creates a similar sense of intimacy in closed meticulously arranged space, we see a family of just two welcome a guest into their home and the drama is consistently mellow. Shyamal is every bit a Japanese salaryman, he devotes all his energies to his job and climbing the corporate ladder while his only son is away in an expensive boarding school nestled in the Himalayas.In this oasis of luxury arrives Tutul( Sharmila Tagore), his wife’s younger sister.The world of the Chatterjee’s is one that Tutul has only heard about,she examines it with curiosity, confusion and ultimately a controlled revulsion. Tutul is having an affair with a young revolutionary, who she herself admits has an uncertain if not a very dark future.For Shaymal it is a mere data point for banter and flirting with his very beautiful guest.Somewhere in the vast city below, there are young men like his prospective brother-in-law, they throw molotov-cocktails in pitched street battles with the police and are shot down mercilessly, but in his high-rise condominium the reverberations of those incidents are hardly felt.The closest we come to them in any tangible way is the ten page letter written by Tutuls boyfriend, that she reads in bed.We are not even told his name, it does not matter. Barun Chanda as Shyamal gives a very calibrated performance, he is clearly skating on thin ice, has got much more than he ever dreamt of and Chanda embodies that fragility with ease.It is also very interesting how the three protagonists of the Calcutta Trilogy are almost doppelgängers of each other, tall, lean, bespectacled,urbane, almost like a young Ray himself, but very divergent in their actions.Shyamal’s wife Dolan(Paromita Chowdhury) portrayed as a housewife almost in a stupor of luxury, is a sight to behold.In a sense she is the opposite of Lady Macbeth, her ambition never overarches and destroys Shyamal.The onus for the shameful actions of Shyamal fall on him alone, even his parents are not complicit in them.We see them in one masterful scene, they arrive unannounced during a cocktail party at their sons home and are ushered in discreetly into the guest bedroom.Here again Ray exercises restraint, his characters hide their shame at their country-bumpkin parents well, but a stray expression of a guest captures the mood of acute embarrassment in the room. Filming a scene at the races, Ray strikes a pose for Barun Chanda. 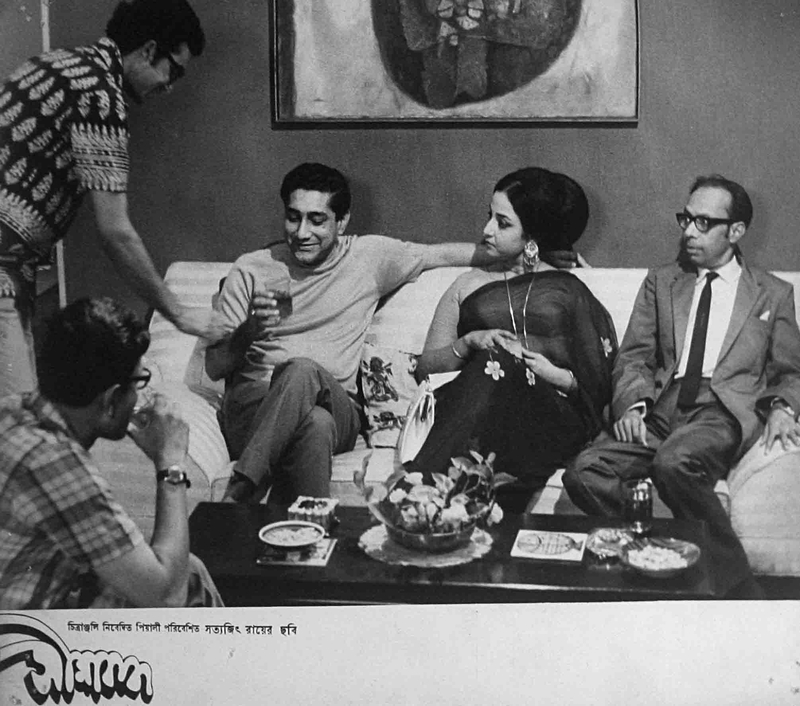 The title Seemabaddha refers to the limited liability of the shareholders of a corporate, implying limited losses and unlimited profits.Ray points to a winner takes all society in the making.His portrait of inequality is painted with a sharp focus on the privileged, note for example Tutul’s consternation at hearing the salary of her brother-in-law. This is the only time she reacts with shock.We can calculate for ourselves that Shyamal’s salary has multiplied nearly twenty times in ten years, and his current monthly paycheque is a small fortune. This is the same shock that people felt at the bonuses of Wall Street investment bankers in the aftermath of the Global Financial Crisis in 2007.We are even told how much money the cabaret dancers at a club, that Shyamal takes the two ladies to, make.Again this evokes the “entertainment allowance” spent on call girls in the financial hubs around the world. I wondered how Mrinal Sen, the other giant of Indian cinema,and my personal favourite, would have told this story.This film and the Calcutta trilogy itself offers a great study in contrast between Ray and Sen.While the politics of Ray is never foregrounded and his cinema is more concerned with its characters, Mrinal Sen often goes for the jugular, we are never in doubt about his politics.Ray once said that he is tired of being labeled the great humanist, and his cinema is truly much more complex than that.This film is a very good example where humanism is not foregrounded at all, it is about Indian society in general and West Bengal in particular.Ray never makes us care for any of the characters in this film in any meaningful way, we watch the dance of materialism and wait for something to happen. As a native Calcuttan the film had a specific charm for me, it took me to a Kolkata of 10 years before my birth, a Kolkata that remained beyond my reach till my mid twenties when I started work at Hindustan Levers Limited as a tea taster, a company and a profession that still had a huge hangover of the British Raj. Now you’ve got me hooked! Where can I find this film? And the other two of the trilogy? I borrowed this one from the esplanade library. Am sure they have the other two too. I too have it somewhere..